Why spend the money on a fancy implant when you could get a removable partial denture? See for yourself what the difference by examining just a few of the benefits of dental implants. There’s no risk of your smile slipping or falling out when it’s anchored by a dental implant. With the security of a strong implant, you’ll be able to eat the foods you love and get the nutrients your body needs. To replace one missing tooth, most methods depend on the surrounding teeth for support. But implants stand alone and don’t cause wear and tear on natural teeth. In fact, our Napa, CA dental implants themselves really are the next best thing after natural teeth. When you have an implant, you hardly know it. You floss around it just like you floss around other teeth. You brush it right along with your other teeth and that’s pretty much it. There’s no mess, no extra time, and no special products for removing your implant and cleaning it. Most tooth replacements just suspend a fake tooth over the gap. But implants do the job of tooth roots, as well. With the support of the implant post, the surrounding bone in the jaw won’t shrink and collapse as it would do otherwise. Dentures and dental bridges are tooth replacement options that eventually need replacement, themselves. But an implant is with you for life. Once it heals into the bone, it’s not going anywhere. 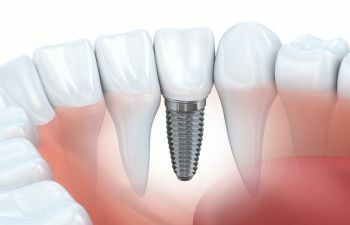 Is an implant is right for you? Find out with a consultation with our Napa team at Alora Dentistry to get started.